The U.S. Department of Labor issued new regulations, effective December 1, 2016 that increases the minimum compensation of overtime exempt executive, administrative and professional (“EAP”) employees to $47,476 per year or $913 per week to qualify as a salaried employee exempt from overtime pay. The Highly Compensated Employee compensation base increases to $134,004 annually beginning December 1, 2016. To be exempt as a HCE, the employee must receive standard salary amount of at least $913 per week in addition to other compensation and meet a minimal duties test. The new DOL regulations establish a mechanism for the automatic updating of the salary and compensation levels every three years to the required percentiles. They have the authority to hire or fire other employees, or the employee’s suggestions and recommendations as to the hiring, firing, advancement, promotion or any other change of status of other employees must be given particular weight. They must customarily and regularly perform at least one of the duties of an exempt executive, administrative or professional employee identified in the standard tests for exemption. The exemptions do not apply to manual laborers or other “blue collar” workers who perform work involving repetitive operations with their hands, physical skill and energy. FLSA-covered, non-management employees in production, maintenance, construction and similar occupations such as carpenters, electricians, mechanics, plumbers, iron workers, craftsmen, operating engineers, longshoremen, construction workers and laborers are entitled to minimum wage and overtime premium pay under the FLSA, and are not exempt under the Part 541 regulations no matter how highly paid they might be. 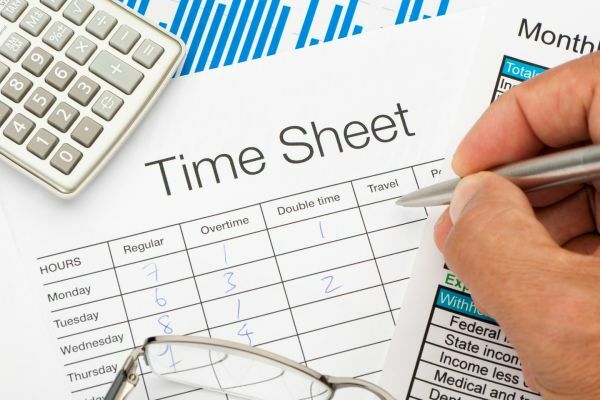 Tracking of hours worked and overtime pay at time and a half is required for all workers that do not meet the requirements of one of the exemptions covered here. Time and a half applies to hours worked in excess of 40 hours per week. Be sure to also check your states Overtime requirements as well. Call the experts at RMS Accounting we are here to make sense of it for you. This entry was posted in Blog, Uncategorized on August 4, 2016 by Steve Weil.